The Porcini lamp is inspired by the classic aesthetics of traditional Japanese lanterns. 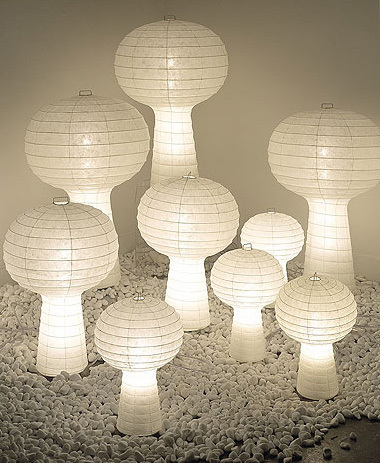 Each of these lamps is produced by traditional Japanese craftsmen in Gifu, a city in Southern Japan. These lamps can be used as table- or floor lamps. The Porcini lamp family was created by Jasper Morrison, the London-based design veteran known for his ultrasimple, archetypal forms. A beautiful organic lamp that is perfect in any environment. Material: Japanese Washi paper & metal wire.